As security – rather than protecting rights and freedoms – becomes the top priority of governments worldwide, laws have increasingly been used to obstruct the work of media professionals in the 35 countries that are in or affiliated with the European Union (EU35). This report is also available in PDF format. Index on Censorship’s Mapping Media Freedom project, which monitors violations against media professionals in 43 countries, has received 269 reports of cases where national laws in the EU35 have been obstacles to media freedom between 2014 and 2018. This includes everything from the hundreds of journalists jailed in Turkey following the 2016 failed coup to the seizure of a BBC journalist’s laptop in the United Kingdom, as well as Spain’s Citizens Security Law. Mapping Media Freedom’s data highlights that the misuse of national security legislation to silence government critics is growing. Of the 269 cases, 67 happened in 2018 and 77 in 2017. There were 81 reports in 2016, 34 in 2015 and only 10 in 2014. The increase in incidents may be the result of rapidly changing political contexts in individual countries such as Turkey, but it also reflects a continental trend, as incidents have increased in countries including the UK, France, Spain and Germany. Mapping Media Freedom’s numbers reflect only what has been reported to the platform. We have found that journalists under-report incidents they consider minor, commonplace or part of the job, or where they fear reprisals. In some cases, Mapping Media Freedom correspondents have identified incidents retrospectively as a result of comments on social media or reports appearing only after similar incidents have come to light. EU governments in particular need to be mindful that loosely-drafted national security laws are often copied by far more restrictive regimes to support their repression of critical media. DATA: Incidents involving legislation and journalists in EU member, candidate and potential candidate states. May 2014-September 2018. In light of recent terrorist attacks in Europe, governments have passed stricter counter-terrorism laws. However, the measures have been cynically exploited to criminalise government critics or silence critical media. Turkey is an egregious case. This phenomenon started small where dismissive official rhetoric was aimed at small segments – such as Kurdish journalists – but over time expanded to extinguish whole newspapers or television networks that espoused critical viewpoints on government policy. After the 2016 coup attempt, the trend intensified further. Hundreds of journalists have been arrested, dismissed from their jobs or sent to prison under state of emergency decrees and anti-terror laws passed by Recep Tayyip Erdoğan’s government. In one case, in July 2018, three pro-Kurdish newspapers and a television station were closed down by order of an emergency decree. Under the decree, all assets, rights and documents and the debt owed to the shuttered media institutions and associations were transferred to the treasury. In many cases, critical media companies and dissenting journalists are charged under the anti-terror act for spreading “propaganda for a terrorist organisation”. Many are charged for supporting peace with Kurdish separatists or just for expressing solidarity with others who face government reprisals. For example, in January 2018, five journalists — Ragıp Duran, Hüseyin Aykol, Mehmet Ali Çelebi, Ayşe Düzkan and writer Hüseyin Bektaş — were sent to prison for participating in a solidarity campaign for the shuttered pro-Kurdish Özgür Gündem newspaper. But the trend toward the criminalisation of journalism that makes governments uncomfortable has spread beyond Turkey. In 2015, five websites were blocked without judicial oversight in France. The administrative blocking came from the interior ministry on grounds that they “incite or defend terrorism”, under the Terrorism Act. Even jokes can land journalists in trouble. 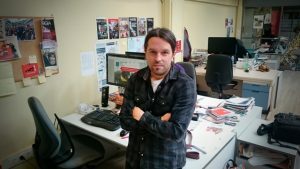 French police searched the office of community station Radio Canut in Lyon in 2016 and seized the recording of a radio programme after two presenters were accused of “incitement to terrorism”. They had been talking about protests by police officers which had been taking place in France at the time. One of the presenters was put under judicial supervision and forbidden to host the radio programme until he appeared in court. In Spain, comedian Facu Díaz was taken to court in 2015 for a satirical sketch from his online comedy show. The satirist faced charges under a law that criminalises the “glorification of terrorism” with punishment of up to two years in prison. Governments are also using terror laws to spy on journalists. In 2014, police in the UK admitted they had used powers under terror legislation to obtain the phone records of Tom Newton Dunn, political editor of The Sun newspaper, to investigate the source of a leak in a political scandal. Police used powers under the Regulation of Investigatory Powers Act, which circumvents another law that requires police to have approval from a judge to get disclosure of journalistic material. In September 2018, the European Court of Human Rights ruled that the UK’s mass surveillance regime violated human rights. But the Counter-Terrorism and Border Security Bill – a piece of legislation which critics argue will have a significant negative impact on media freedom in addition to other freedoms – continued its passage through Parliament, and has already been passed by the House of Commons. The final hearing in the House of Lords took place on 15 January 2019. It was sent back to the House for further consideration after some amendments. The bill would criminalise publishing pictures or video clips of items such as clothes or flags in a way that raises “reasonable suspicion” that the person doing it is a member or supporter of a terrorist organisation. It would also criminalise watching online content that is likely to be helpful to a terrorist. No terrorist intent is required. The offence would carry a prison sentence of up to 15 years. Parliament’s own human rights watchdog, the Joint Committee on Human Rights, has recommended that the former clause be withdrawn or amended because it “risks a huge swathe of publications being caught, including… journalistic articles”. The government has not accepted the recommendation. Measures designed to protect law enforcement officers or increase their powers have also become a threat for journalists. These measures are sometimes the result of a state of emergency declared in a country. While the state of emergency in Turkey after the 2016 coup attempt is a prime example, the same has happened elsewhere. In France, measures declared after the 2015 terrorist attacks in Paris were used to ban photographer NnoMan from covering a protest in the city in 2016. The police justified the decree by the young man’s presence “at several demonstrations against police violence or the proposed labour law” which ended up in violent disorders, but failed to mention that NnoMan had a press card. In other cases, the threat comes from ordinary laws. Spain’s Citizens Security Law punishes public protests in front of government buildings and the “unauthorised use” of images of law enforcement authorities or police. In 2017, a Spanish police union filed a lawsuit against Mónica Terribas, a journalist for Catalunya Rádio, accusing her of “favouring actions against public order”. The union claimed she urged citizens in Catalonia to report on police movements during the referendum on independence, and that such information could help terrorists, drug dealers and other criminals. The passing of a similar law has raised eyebrows in Bavaria, where the state parliament granted law enforcement broad new powers to act without “concrete suspicion” in May 2018. The law gives police new powers to access mobile phones, computers and cloud-based data. Law enforcement officers are allowed to amend or delete the information they recover under the legislation. Provisions also include extending “preventative detention” powers where there is fear of public disorder, under which police can detain people for up to three months – previously two weeks – without prior judicial approval. Under the legislation, detainees can ask judges to review the legality of their detention, but prisoners must bring the cases themselves and have no right to state-provided lawyers for this purpose. Official secrets acts are another way in which legislation can obstruct media freedom. In May 2017, six journalists were called to testify by authorities in the German state of Niedersachsen after the publication of articles that contained leaked information about law enforcement errors made during terror investigations. They were told they would face large fines if they refused to testify. The German Journalists Association called the procedure “intimidation” and “a risk for source protection”. In the UK, a proposal is being considered that could lead to journalists being jailed for up to 14 years for obtaining leaked official documents. The major overhaul of the Official Secrets Act – to be replaced by an updated Espionage Act – would give courts the power to increase jail terms against journalists receiving official material. The new law, should it get approval, would see documents containing “sensitive information” about the economy fall foul of national security laws for the first time. The case of Deniz Yücel epitomises how journalism that is critical to the Turkish government, Erdoğan or their associates is being equated with terrorism. 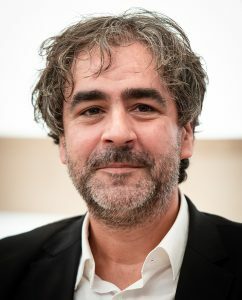 Yücel, a Turkish-German dual national, was working as a correspondent for German newspaper Die Welt when he was taken into police custody on 17 February 2017, and was formally arrested on 27 February 2017. He is one of hundreds of journalists arrested in Turkey since the 2016 coup attempt on charges of sedition and “spreading propaganda of a terrorist organisation and inciting the public to hatred and hostility” under the Turkish anti-terror act. “This law is Turkey’s own Sword of Damocles that the state holds on freedom of expression,” said Özgün Özçer, Turkey correspondent for Mapping Media Freedom. “Journalists regularly face investigations when they report on the army’s crimes, the judiciary’s unfair verdicts, state oppression and so forth. In Yücel’s case, “spreading propaganda for a terrorist organisation” amounted to a report he wrote about the energy minister after the minister’s email account was hacked by a group of activists. Six Turkish journalists were arrested for the same reason, but tried separately. Yücel was subject to pre-trial detention until February 2018, when he was released. In the same month, his court case began. Prosecutors are seeking up to 18 years in prison. Yücel returned to Germany after the intervention of Chancellor Angela Merkel and is being tried in absentia. In March 2016, Axier López was fined €601 for posting photographs of police making an arrest. López, a journalist for Basque country magazine Argia, had posted two photos on Twitter of police arresting a woman who had failed to appear in court. Under the Citizens Security Law 2015 – which critics call the “gag law” – disseminating photos of police officers “that would endanger their safety or that of protected areas or put the success of an operation at risk” can incur in fines of up to €30,000. According to the People’s Party, which was in power when the law was passed, the aim of the law is to protect officers on duty, but police associations and even citizens’ associations have used it to target journalists. The legislation was introduced after a wave of anti-austerity protests in the country. This report is part of a series based on data submitted to Mapping Media Freedom. This report reviewed 269 incidents involving investigative journalists from the 35 countries in or affiliated with the European Union between May 2014 and 30 October 2018. Mapping Media Freedom identifies threats, violations and limitations faced by media workers in 43 countries — throughout European Union member states, candidates for entry and neighbouring countries. The project is co-funded by the European Commission and managed by Index on Censorship as part of the European Centre for Press and Media Freedom (ECPMF). Index on Censorship is a UK-based nonprofit that campaigns against censorship and promotes freedom of expression worldwide. Founded in 1972, Index has published some of the world’s leading writers and artists in its award-winning quarterly magazine, including Nadine Gordimer, Mario Vargas Llosa, Samuel Beckett and Kurt Vonnegut. Index promotes debate, monitors threats to free speech and supports individuals through its annual awards and fellowship program.